An up and coming natural wellness and essential oils brand is giving back to the environment in a big way. Fern & Petal is a family-run business in Vancouver that sells locally-bottled essential oils and handmade bath products. With a focus on natural and pure products, Fern & Petal also wants to do its part to take care of nature and our communities. With every order, the online business donates $1 to plant a tree in Canada. 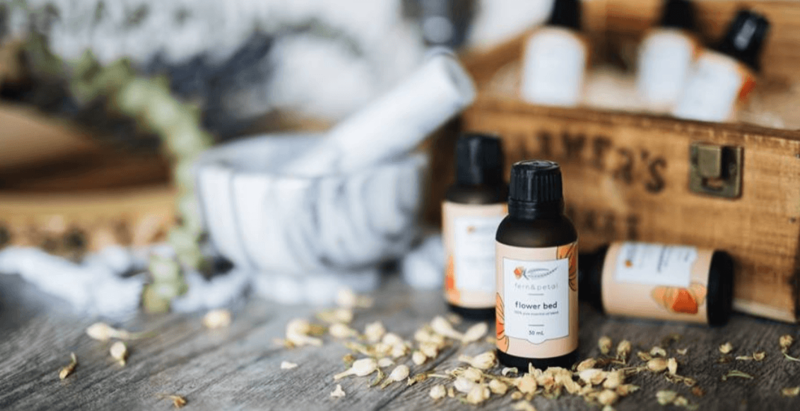 Fern & Petal’s essential oils come in a number of calming scents including cedarwood, clove, geranium, Indian sandalwood, lemongrass, lavender, orange, pine, tangerine, and tea tree. Some oils also come in a roll-on tube, making a great alternative for strongly scented perfumes. The company’s handmade bath products are made to release tension and stress. Fern & Petal carries a line of floral waters in therapeutic scents such as Magnesium + Rose and Neroli. The milk bath mixes are made with healing properties and all natural ingredients. A few scoops of the Coconut Lavender or Oat + Honey mix added to the bath will soothe your skin and help you unwind after a long day. Fern & Petal products are available in select stores and online – and free shipping applies to all orders over $20.